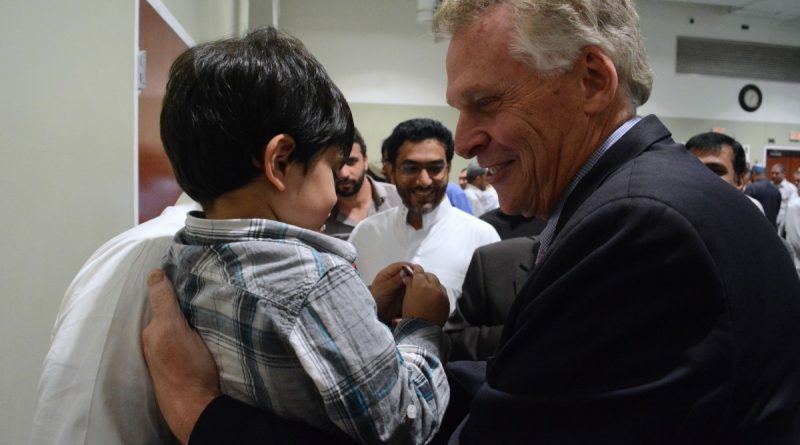 Governor Terry McAuliffe (D) stopped by the All Dulles Area Muslim Society in Sterling today to encourage the hundreds of congregants at Friday prayers to vote. McAuliffe was the chairman of Hillary Clinton’s 2008 presidential campaign. 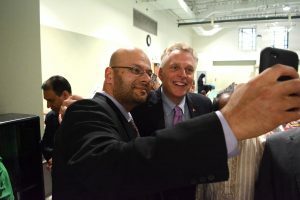 McAuliffe was joined by Virginia Secretary of Natural Resource Molly Ward and White House Associate Director of Public Engagement and White House Liaison to Muslim-Americans Zaki Barzinji, who grew up in the ADAMS community and whose parents, according to ADAMS Board of Trustees Chairman Rizwan Jaka, started ADAMS’s Boy and Girl Scout programs.. That program, according to scout master Saleem Arif, now has about 400 Boy Scouts, Girl Scouts, Cub Scouts, and Brownie Scouts. 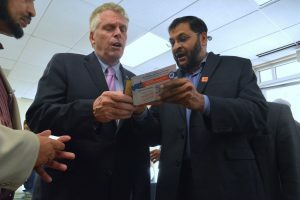 Ahead of the speech, McAuliffe met with ADAMS leadership to talk about the economy, bullying in schools, civil rights, and criminal justice reform, Jaka said. Since 2000, ADAMS has hosted voter registration on Fridays around elections. 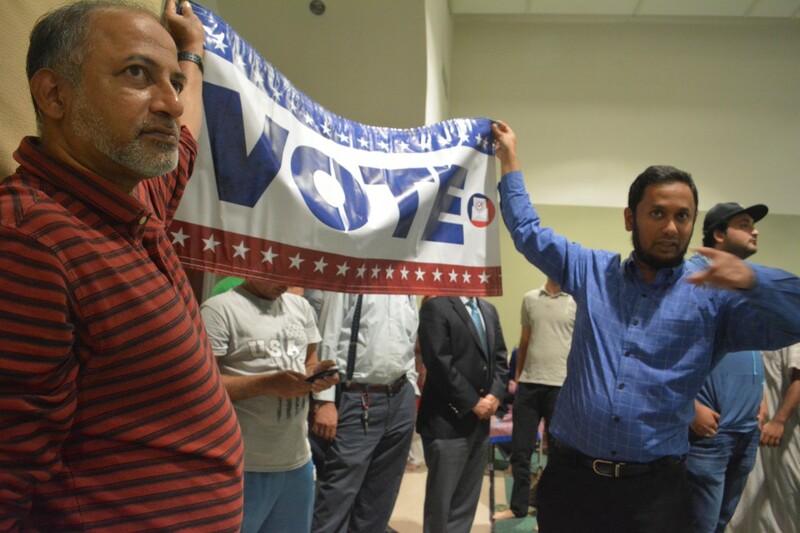 It also directs voters to check their voter registration with the State Board of Elections through MuslimVoter.org, campaigns to get Muslim women to vote with community meetings and the hashtag #CanYouHearUsNow, and hosts nonpartisan phone banks on election day to encourage voter turnout. It’s hard to believe Governor 47 Proof would go anywhere they don’t serve alcohol. He was till buzzed from hanging out with Willie Nelson, while claiming to have no idea that was weed sitting on the table in front of him. And here I always thought lefties hated religious organizations involved in politics. I reckon they only like houses of full of democrats… The ole’ democrat double standard. We have an appearance by a governor and white house political operatives at a religious center. The meeting is focused on getting out Democratic supporters to the polls. This is very unseemly. I am quite surprised that the ADAMS leaders would allow this to happen. Even if they personally want Trump defeated, this borders on violating the anti-political rules of tax-exempt religious organizations.